Respondus is Windows-only test authoring software that can be used to create, edit, and publish online tests to Illinois Compass 2g. 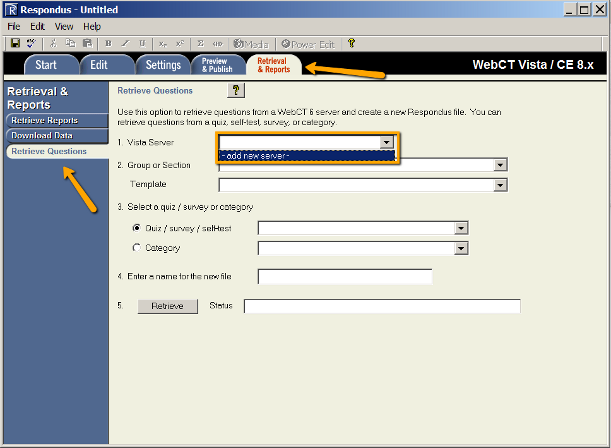 Click Next to run the connection test to ensure that Respondus can connect to Illinois Compass. 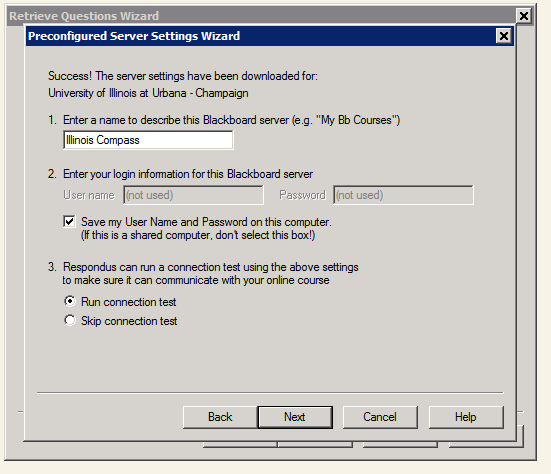 A log in window will pop-up, click to sign into Illinois Compass, then type your credentials. You have now set up preconfigured settings in Respondus, the settings will be remembered for the next time.